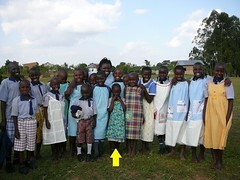 Thanks to Louise and her contacts, my dresses for the dress a girl charity went out to Uganda back in June. Both of mine are marked with the yellow arrow. 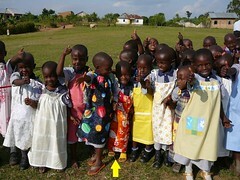 They all look ever so cute in their dresses. It is Friday, so hope you all have a lovely weekend.